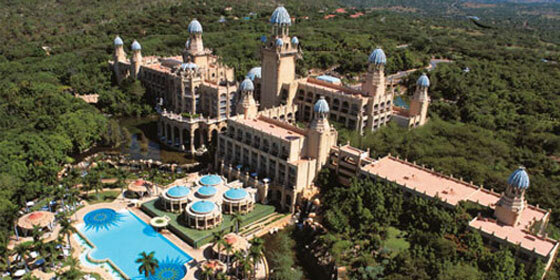 The magnificent Palace of the Lost City at Sun City is a fairytale African palace that towers over the scenic valley. 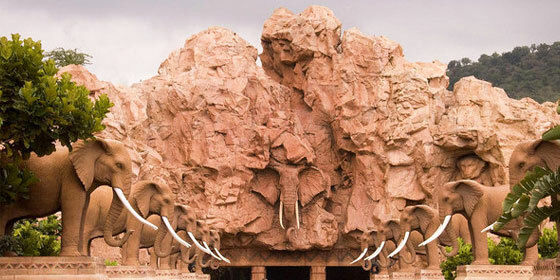 Visible from almost anywhere on the resort, unique towers with elephant tusk embellishments are a symbol of the true luxury and splendour that the hotel offers. Inspired by a fantasy lost African tribe, the Palace has been lavishly created with rich architecture, mosaics and frescos that add to the mystical ambience and magical aura of this grand hotel, from the opulent hand-painted dome of the reception area to even the smallest detail. The hotel is surrounded by lush botanical gardens, trickling streams and hidden walking trails that ensure that the Palace does indeed feel like a lost city. The Grand Pool at the Palace is just outside the main entrance. 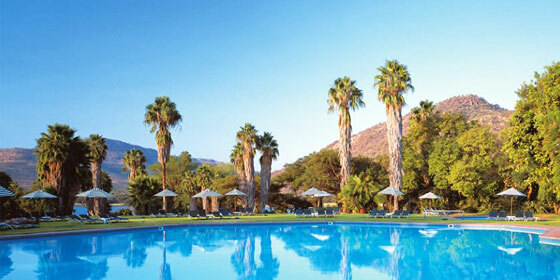 This intricately decorated pool is the ideal place to relax and take in some African sunshine. 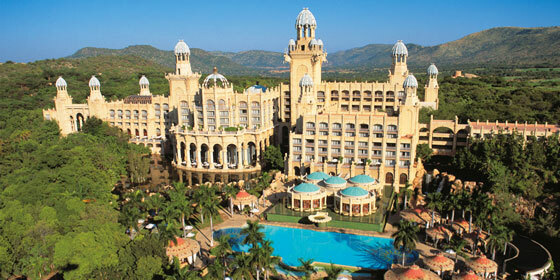 It is the most opulent and extravagent hotel at Suncity and exudes an ancient ambience and a uniquely African flavor. 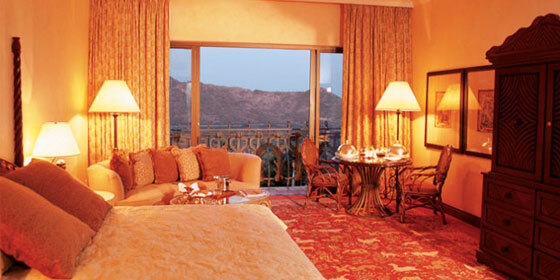 The intricate decor, top-class facilities and superior service make it the Sun City hotel of choice for the discerning traveler. 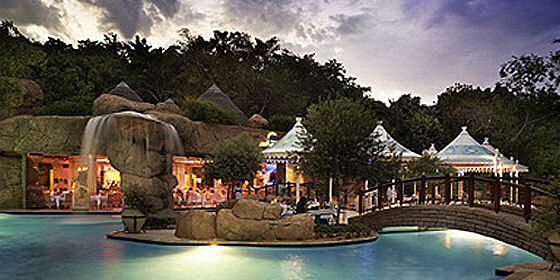 Location : 2 hours from Johannesburg International Airport by car transfer. 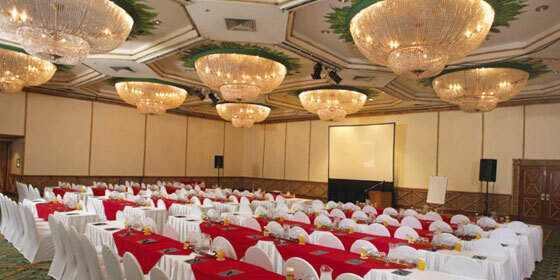 The Cascades Hotel is the grand old lady of South Africa's Sun City resort. Set amidst lush tropical forests, the hotel is named after the tumbling streams that flow through the verdant gardens that surround the hotel. The lush foliage not only provides a serene setting for the hotel, but is also home to a variety of colourful tropical birds. A stroll through the forest along one of the many winding footpaths is a relaxing experience that all but erases the presence of the bustling Suncity resort. The hotel's unique terraced shape is not only immediately identifiable but provides all rooms with a view of either the pool or the gardens. 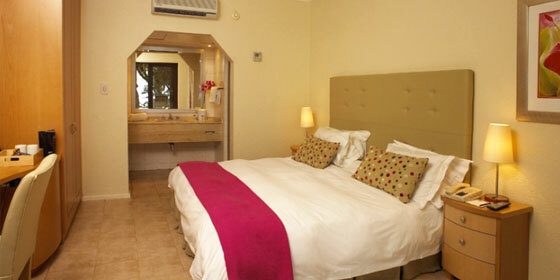 There are 243 rooms at The Cascades as well as 3 swimming pools – one Children's pool and one heated. The pool area with its tanning island and a small private beach has a distinctly tropical feel with umbrellas, swaying palms and rocky water features. Location : Johannesburg International Airport is 180 Kilometers away. The Sun City Hotel situated between the Cabanas and the Cascades Hotel, offers stylish accommodation with a relaxed and casual vibe, the Sun City Hotel boasts bold design and a dramatic setting. 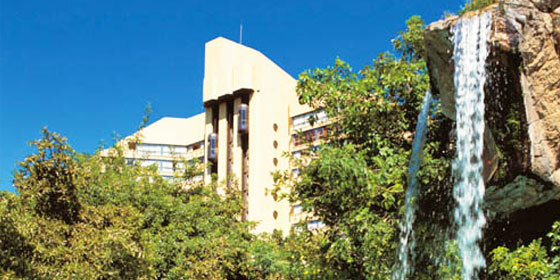 The Sun City Hotel has a total of 340 rooms that all face either the swimming pool, the Gary Player Golf Course or the rolling lawns that lead down to the Water world lake. 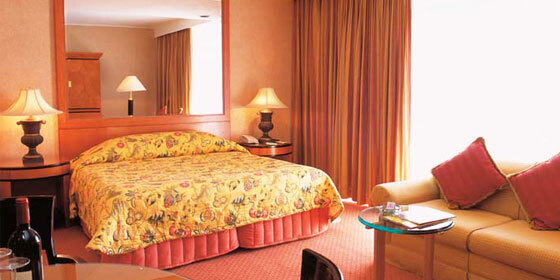 Each room is equipped with air conditioning, tea and coffee making facilities, a television, safe, an honor bar, and 24-hour in-room dining. 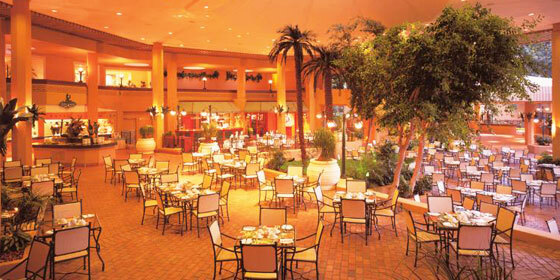 The Sun City Hotel offers an astounding variety of dining venues that range from traditional Indian and Asian flavours to pool-side snacks and everything in between, complex houses the jingling Sun City Casino and the Sun City Theatre. A stay here means never having to go very far to experience the fun and excitement that make the Suncity resort one of the most popular holiday destinations in South Africa. 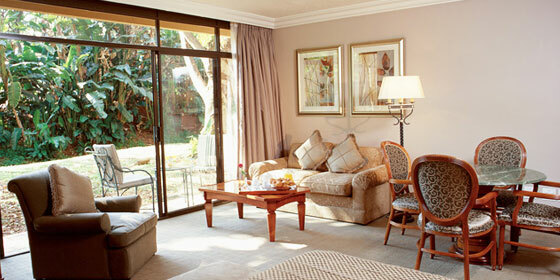 The Cabanas at Suncity, South Africa, are the pinnacle of family-friendly accommodation. 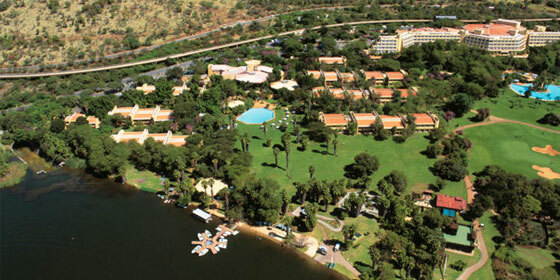 The hotel opens on to rolling lawns and is conveniently located close to the man-made Water world lake, and the wide range of water activities offered here. Also within close proximity are the abundant children's activities, including the Kamp Kwena Fort, mini-golf, Animal World and the Finder's Keepers Scratch Patch. While the children are suitably entertained, parents can relax beside the pool or head to the Water world lake for some water activities. The Cabanas offers a total of 380 rooms, cheerfully decorated in vivid colors, with a relaxed and casual feel - perfect for families. The laid-back, family-friendly Cabanas have sprawling green lawns where children can run about and play. Sun City is internationally renowned as Africa's premier holiday resort, offering a myriad of different entertainment and relaxation opportunities as well as enough attractions and activities to keep everyone busy. 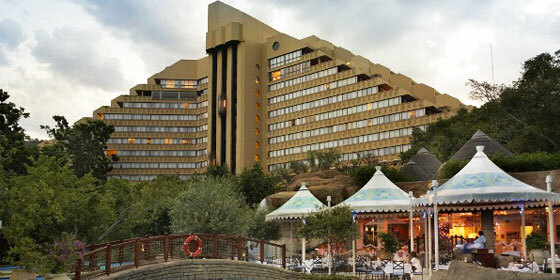 The fabulous SunCity resort complex captivates visitors with its combination of golf, game-viewing and gambling as well as world-class hotels. 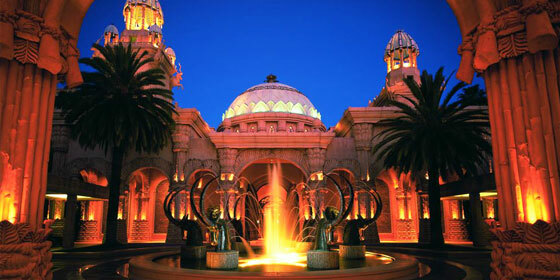 Formerly the gambling Mecca of South Africa, Suncity still attracts those who wish to gamble but also those who want to relax. 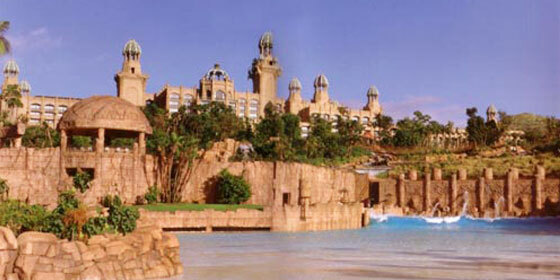 Sun City in South Africa offers everything and more and it has become a haven for holidaymakers to South Africa.